Roll and Find: This game can be played both as an independent and/or Centers activity. Students roll the shape dices and then, they go around the classroom to find an item that is shaped as the shape on their dice or they can use the included mat to find the objects that has the same shape as the one shown on the dice. Then, they have to fill out the Shape Graph with the things they found. 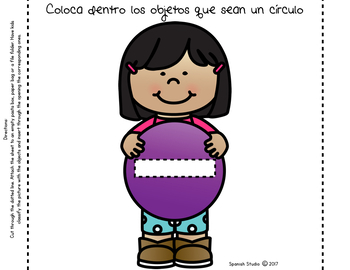 Sort and Glue: This is an independent activity where students are asked to cut, sort and glue the different items according to their shape. 2D Shapes Puzzles: Students sort and match 2D real world shapes. Memory Game/ Find the Match: Students can use the cards to play the traditional Memory Game or to Find the Match by going around the classroom to find another person with the same card. 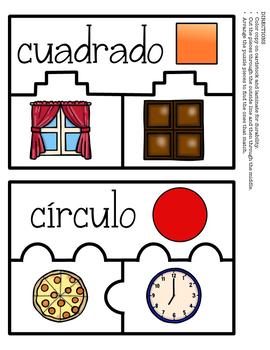 Picture Match: In this Independent Activity, students match the shapes with the correct object. Shapes Play dough Mats: Students use the mats to model the shapes using Play dough. It can be used as HW asking them to glue different items such as stickers, rice, glitter, etc. Building Shapes: In this independent activity, students color, cut and sort the different shapes to form and discover a hidden animal. Shapes Spoons Game: This game is designed to be played just like the card game Spoons. Each player takes turns passing one card that they do not want to the player to their left, usually at one player’s signal to “Switch”. When a player has 4 cards that are a match, he/she, as quietly as possible, takes a spoon from the center. As the other players notice this, they (as quietly as possible) take a spoon until there is one player without a spoon.The player without a spoon, loose. This is a fun, entertaining, hands-on approach to learn and practice 2D shapes. Dot a dot shape: Using dot markers, students stamp the shapes. Sorting Mats: Students sort the different objects into the correct shape. Two versions included. 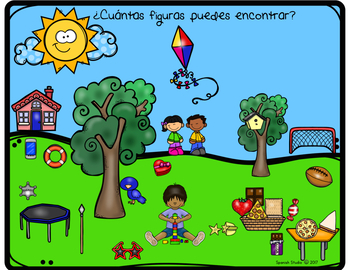 All activities are great for visual, tactile and kinesthetic learners. 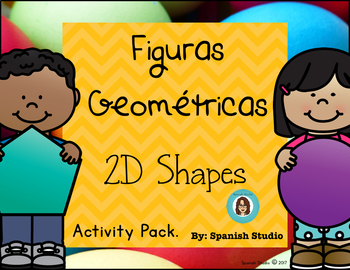 Shapes 3D (Spanish) Activity Pack. I hope you and your students enjoy this product! Feedback is always appreciated!!!! !